When Interior Secretary Ryan Zinke makes big announcements in Utah, you’d better listen. 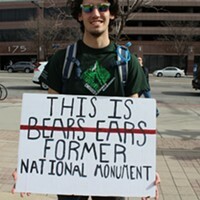 At least, that was the case in December, when he and President Donald Trump stopped by to say they were lopping off millions of acres from two Utah national monuments. But unless you’re a mule deer hunter, you probably were less interested in his visit on Friday, when he signed a secretarial order that puts resources toward mule deer conservation. When Zinke met with media immediately afterward, however, the conversation quickly turned to Bears Ears National Monument and the controversial decision to downsize it. 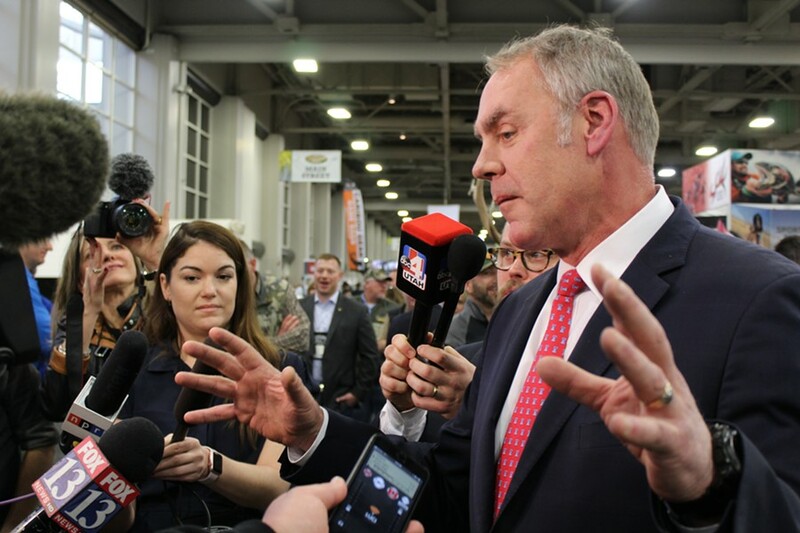 Despite protesters demanding earlier in the day he reverse that decision, Zinke was resolute. “Here’s what you don’t hear,” he said. “There wasn’t one square inch removed from any federal protection.” Zinke argued that reverting the land from national monument status to national forest or wilderness allows for traditional “multi-use” without eroding protections. 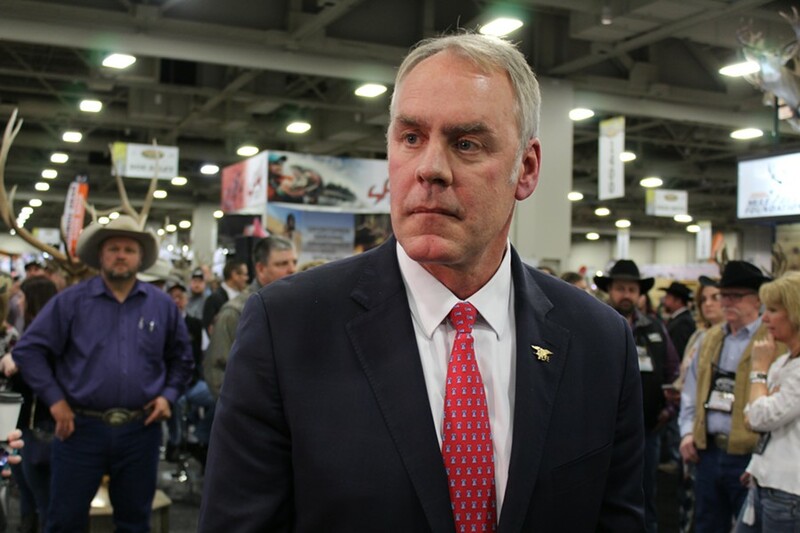 When public land is mined or drilled, Zinke claims he will hold industry accountable for their reclamation plans. “That is what Teddy Roosevelt, and the American experience of conservation ethic, which is use science, best science, best practices, greatest term, greatest good,” he said. 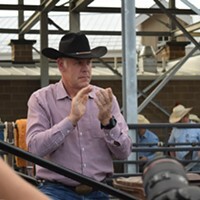 Zinke signs Secretarial Order No. 3362 during the Western Hunting & Conservation Expo at the Salt Palace on Friday, Feb. 9. 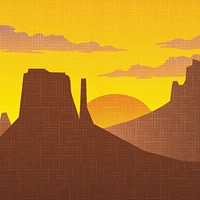 Zinke reiterated the sentiment that the push to shrink Bears Ears was a local request. Although it’s true that many San Juan County residents didn’t support the monument, many others in Bluff and on the Navajo reservation did and petitioned the government for a national monument initially. The Center for Western Priorities released a statement panning Zinke for “greenwashing” his past public land decisions. 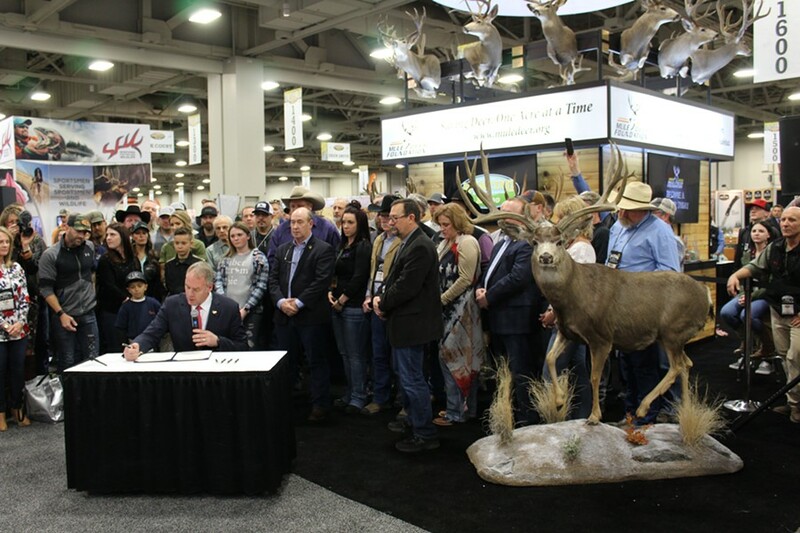 The press conference was held at the Salt Palace Convention Center during the Western Conservation and Hunting Expo. Outdoorsmen stood by in camouflage-patterned clothing near mounted deer head decor. 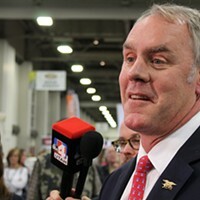 Zinke said the federal government identified important deer corridors and is looking to work with states and other stakeholders to connect the corridors, manage the watersheds and link trail systems.